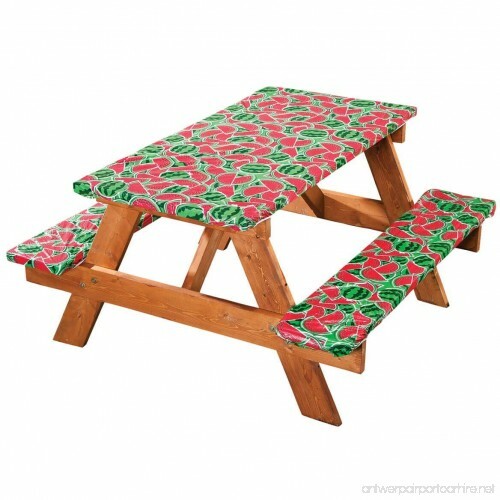 Dress your picnic table in this fun watermelon deluxe picnic tablecoverand enjoy clean, comfy seating with two matching bench covers Designed in durable vinyl with soft flannel backing, our 3pc. 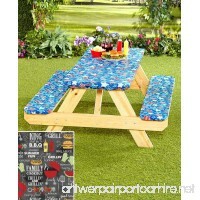 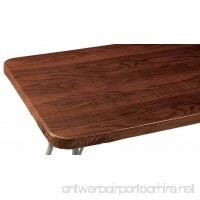 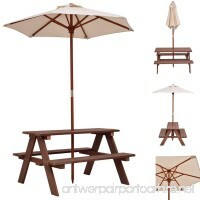 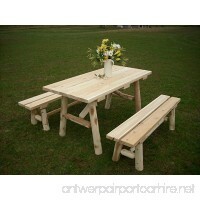 table linen set is perfect for your own backyard and great for traveling or camping. 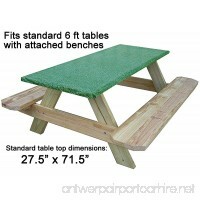 Resisting spills and easily wiping clean, all three pieces of this outdoor table cover feature elastic edges for secure fitcovering one table up to 60" long x 34" wide and two benches up to 60" long x 16 1/2" wide each.